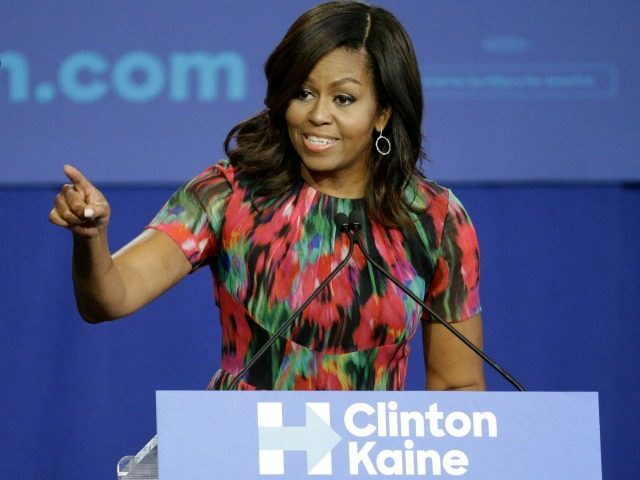 At a Hillary Clinton campaign rally Tuesday in Charlotte, North Carolina, First Lady Michelle Obama delivered a fiery speech, taking direct aim at Clinton’s opponent, Donald Trump. “We need someone who’s honest and plays by the rules,” Obama said, referring to the former Secretary of State as a good replacement for her husband, President Barack Obama. At the event, which targeted young voters, Obama warned against those thinking of casting protest votes, saying “don’t play with that.” Her message: a vote for anybody but Hillary Clinton is a vote for Clinton’s opponent. To further stress how important each vote is, Obama highlighted how, in 2008, her husband won by only an average of two votes per precincts in North Carolina. In addition to warning people not to stay home because they are frustrated, Obama relentlessly pounded the young audience to make sure they are registered to vote. Throughout her speech, Obama never mentioned Trump by name, but made it abundantly clear who her jabs were directed at. She repeatedly attacked Trump’s ability to lead due to his lack of experience, maturity, temperament, and consistency, stating that the long election process is a way for voters to get to know the candidates. They will not change once they become president, Obama said. Obama referred repeatedly to Clinton as the most qualified person to ever run for president, even more than Bill Clinton and Barack Obama, proclaiming that Clinton knows what it takes to be president and the responsibility that comes along with the job. In one direct jab, Obama stated that a president does not cry foul as she began to tap her microphone and smile, referring to the microphone troubles that Trump had during the first debate. This technical problem was first played off as Trump “crying foul,” but was ultimately proven to be true. Obama also attacked Trump on the birther issue, claiming that her husband was indeed born in this country and the hurtful, deceitful claims were only used as a way to undermine his presidency. She went on to say that the damage caused could not be undone by an insincere statement at a press conference. The Attorney General and gubernatorial candidate for the state of North Carolina, Roy Cooper, introduced the First Lady. In his speech, he relentlessly attacked the current Governor, Pat McCrory, on his conservative positions, saying North Carolina could not be subjected to eight more years of McCrory, or even one minute of Donald Trump.